A reception area that invites people to spend time with you. 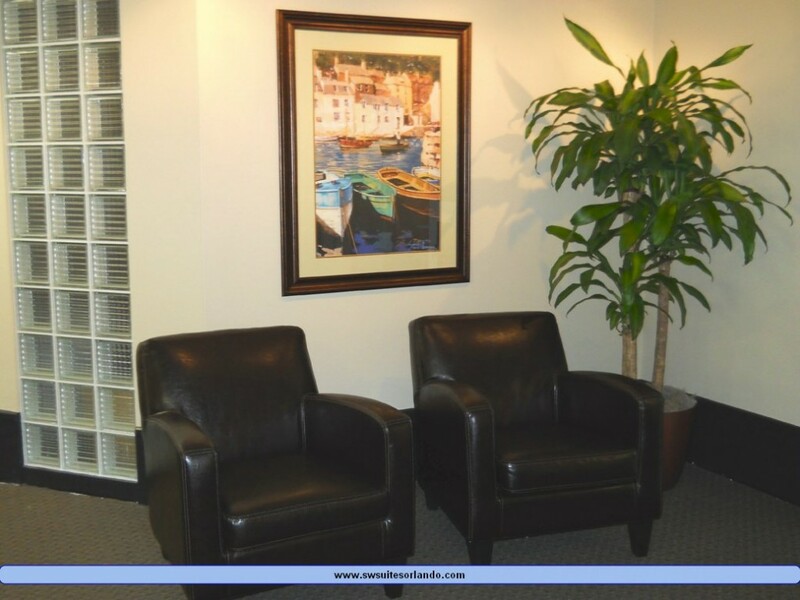 Our reception area is much more than a few folding chairs and a plastic table where your clients wait for you. At Southwest Suites we know the atmosphere you need to project to remain relevant and successful in today’s economy. We provide a comfortable, quiet waiting area where you clients can sit in peace while completing forms you may need from them. We took extraordinary care to insure your clients or possible new employees have an area to fill out paperwork needed by your company. Along with comfortable seating in our Reception Area we also provide decor that would compliment an executive office such as yours. Many times a prospective client will think negative thoughts about your firm based solely on the waiting room they sit in while waiting for you. Don’t settle for second rate amenities when it comes to an executive suites or even office space for rent.